In early 2015 the city of Los Angeles embarked on an unprecedented campaign to capture, control, and reuse stormwater. New rules and regulations, titled L.I.D (Low Impact Development), were put into place to define how both residential and commercial developments capture and control their stormwater. This mantra drove our work at “The Broadway Job” a seven story commercial building in downtown Los Angeles. WRS helped design, build and install a state of the art Rainwater Capture and Reuse System that feeds the building’s ecologically friendly Green Roof. Further pictures and media can be found in the photo gallery section – http://reusegraywater.com/photos/ . We are proud to help L.A. continue to save its most precious resource and we feel The Broadway Job was a great first step into the world of LID. “State officials, who are already urging people to let their grass yards wither during the drought, passed new rules [July 15] essentially banning them from being planted around new commercial buildings, while limiting grass to about 25 percent of the landscaping at new homes. The regulations, adopted by the California Water Commission, come at the direction of Gov. Jerry Brown, who in April called for the state’s construction guidelines to better promote water conservation after four historically dry years. FIGHT THE DROUGHT, RECYCLE YOUR WATER ! Keeping one’s lawn green becomes much less of an issue when homes and businesses recycle graywater for irrigation. Water Recycling Systems, LLC has installed over 75 graywater and rainwater systems over the past decade. We have graywater and/or rainwater systems that will fit your needs and help meet drought regulations. Is drinking water potable, or potable? Here’s a small detail that comes up all the time in our industry – how to pronounce the “o” in the word “potable”. Potable water is, of course, water that’s suitable for drinking. We use the word to distinguish from graywater, which is reusable in certain ways (irrigation, toilet flush) but not for drinking, and black water, which is wastewater that must be routed to the sewer. Water Recycling Systems, LLC creates Graywater Recycling systems that process and reuse graywater (potable water that’s been used in sinks, showers, and laundry) in commercial and residential applications; and Rainwater Capture systems, which do what you’d expect – capture rainwater and store it for use in irrigation, toilet flush, and appropriate uses for graywater. The answer to the question is, Long “o”, as in Poe-table. Please give us a call when you want to talk about a graywater system for your business or home, to help preserve as much potable water as possible during our drought. 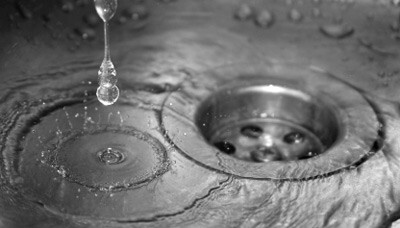 844-DROUGHT, or visit www.reusegraywater.com for more information. At Water Recycling Systems, we enjoy sharing stories about reusing graywater from around the world. Here’s a great article from Melbourne, Australia, which survived an epic 13-year drought with massive and focused efforts to capture and use rainwater and graywater at every opportunity. El Nino is coming! El Nino is coming! The California media has been awash (pun intended) in stories about El Nino, the weather pattern that typically results in above average rainfall. To some this is welcome news, as California has been suffering from an historic drought. The National Weather Service has advised, “Nearly all models predict El Niño to continue into the Northern Hemisphere winter 2015-16, with many multi-model averages predicting a strong event at its peak strength.” (link) Here’s a good article from weather.com with good graphics explaining exactly what causes El Nino. So, Californians, what can you do to prepare for El Nino? Homeowners as us all the time, How much water will my property produce? Water Recycling Systems can help you calculate the potential of your property. Now that’s a lot of rainwater. At an installation in Chatsworth, California, today, it was fun to see the home team mascots getting cool in the pool. The pool is not directly connected to the graywater and rainwater systems we’re installing, but by reusing graywater (bathroom sinks, bath/shower, and laundry) and utilizing rainwater for approved uses (almost 1,800 gallons anticipated for every inch of rain that falls on the roof), Water Recycling Systems will do a great deal offset the water needed by the pool. And that will keep these goldens happy for a long time! Sign up for the Graywater Newsletter! We are now NSF 350 CERTIFIED!